6210-17.20 Laser Hot Hits Playing The Black Eyed Peas And Kylie Minogue. Strong Signal Sinpo 54444. Quite a strange day. Conditions this morning were very unreliable/ weird with long skip (in February!!). and parts of Germany (for instance in Berlin) but also in the Czech Republic. 6085 is now audible in the areas where it wasn't earlier this morning. We consider to do a (partly) repeat next week on SW. More info will follow. 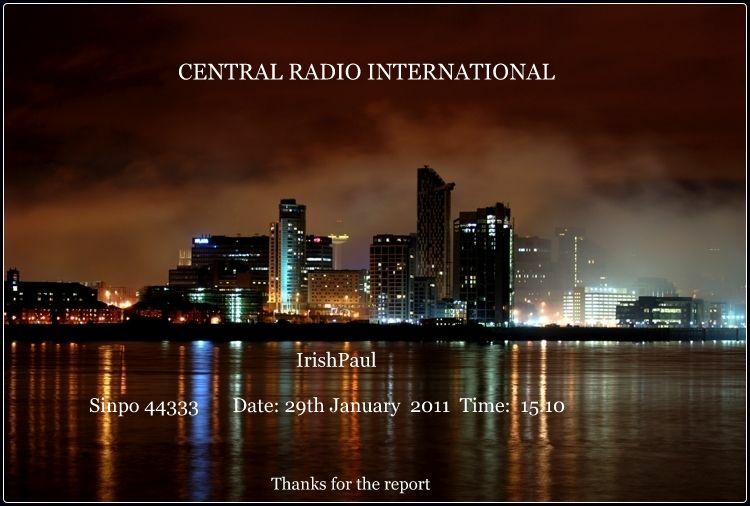 This afternoon between 13-14 UTC/ 14-15 CET the final hour of our 30 Year Anthology. Tune in! 7600//5800 kHz and 6085 kHz. 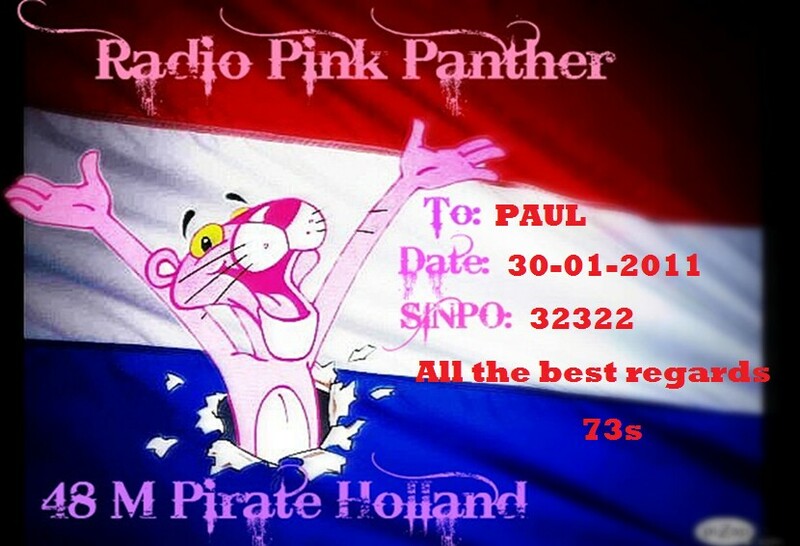 6300-10.50 Unid Playing Dutch Music. Strong Signal Sinpo 54444. Off A few minutes later. No id heard. 4070-19.43 Zender Postoffice(via Radio Pluto) Ronnie playing A wide selection of music. fair Signal Sinpo 43323. 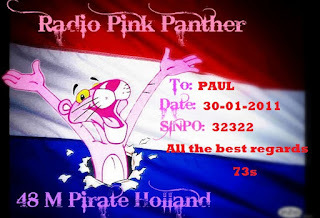 6305-14.45 Radio Blackpower with a Qso And playing The Hollies. Good Signal Slnpo 44344. 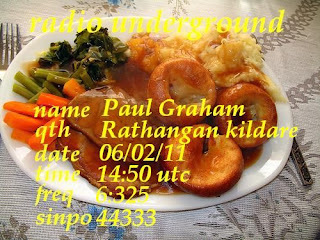 At long last Sunday February 27th 2011 the final & 3rd FRS 30th Anniversary broadcast will take place. We will complete the FRS Anthology ! Next Sunday 27th February we will feature the period 1998- 2010. Mind you: we will kick off at already 07.52 UTC=08.52 CET. In contrast with our previous mail, a change has taken place. 6085 will be on for the complete 6 hours 08-14 UTC. No alternative 48 mb freq will be used. March 6th could see a repeat of part of the shows lasting 2 or 3 hours. Of course we have special QSLs for this broadcast. With the ones issued for the previous two broadcasts, it will form the FRS 30th Anniversary QSL Series. Hope to have your company on the 27th...it will be great fun: 30 Years of FRS-Holland on SW! 5800-11.50 Unid playing Shelia B Devotion And Don Mc lean. Fair to good Signal Sinpo 44433. Closed down before song had ended. No ID heard. 6221-12.07 Unid playing Fats Donimo and Elton John. 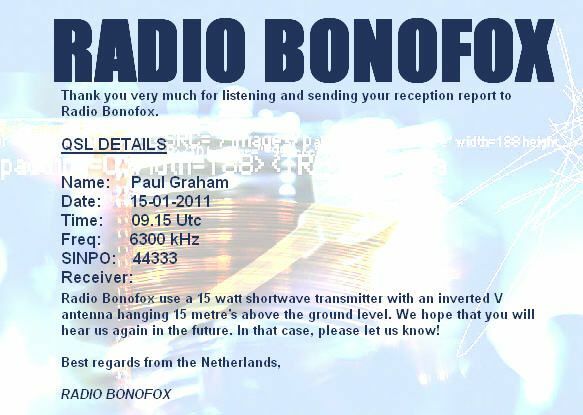 Strong Signal Sinpo 54444.Off A Few minutes later And back on@12.30 playing Christopher Cross And Bread. Very Strong Signal Sinpo 55544. No ID heard. Borderhunter Summer Meeting 2011 information. 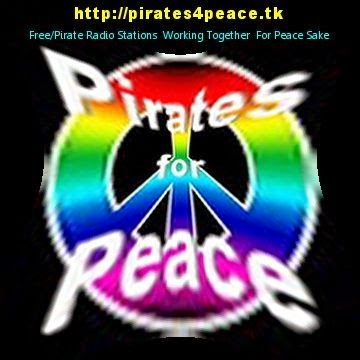 Hi Free Radio and pirate fans! It's already time for another one! From the 1st to the 3th of July 2011, everyone of distinction in the scene meets once again - both listeners and stations! On this particular week-end, it's provisionally planned that the next Borderhunter summer meeting (well-known and well-loved across Europe) will take place in the first weekend of July. Only those who already know about this fantastic meeting, know what the home stayers miss. As in every year, the question of where to stay overnight is no problem! You can stay in a car, tent, caravan, hotel, B&B or at the accommodation at the camp site (complete with beds, but bring a sleeping bag) - everything can be brought along, as everything is best provided for. The meeting begins officially on Saturday, as usual. In addition, every year many hobbyists travel on Friday, which the boss of the organisation also has no problem with. Everyone is always most cordially welcome at any time! You can safely leave your picnic basket at home with your mother - the selection of meals and drinks is so vast, that you will be a little bit heavier when you return home on Sunday! And all this and more at affordable prices. However in order not to drive the meeting organisation into financial ruin, there is a small contribution of 2 Euros per person which is obligatory. Radio Borderhunter will organise a meeting for friends of the free radio and pirate hobby, that is not only unique, but will also remain unsurpassed - that we promise all hobbyists! In order that we can better plan, we request that you let us know when you are coming, in advance if possible. As we want to make sure that we have enough food beforehand, for example. Reservations, applications and questions should be directed to the following e-mail address: meeting2011@live.com or to PO BOX 2702, 6049 ZG HERTEN, THE NETHERLANDS. The exact route to the meeting will be given in advance. Most of you will know it from previous years. Our motto for this meeting, as always is: come, see, be amazed, be at home. 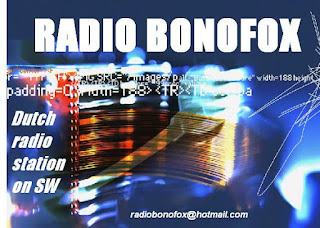 All free radio friends are cordially welcome at the BORDERHUNTER SUMMER MEETING on the 1st untill the 3th of July 2011!!! At long last Sunday February 27th 2011 the final & 3rd FRS 30th Anniversary broadcast will take place. We will then complete the FRS Anthology ! In two weeks time on the 27th February we will feature the period 1998- 2010. Mind you: we will kick off at already 07.52 UTC=08.52 CET. 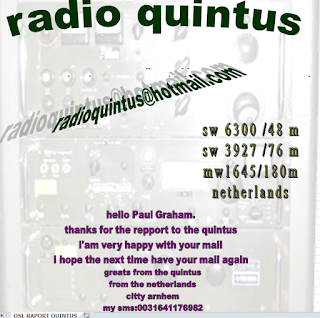 6220-15.35 Radio Scotland playing Dance Music And thanking Radio Pluto for the Qso. Strong Signal 54444. 6220-15.42 Radio Pluto on after Radio Scotlsnd closed down. Playing Dance Music. Weak Signal sinpo 32122. 6290-8.27 Radio Altrex Playing The Hollies And The Bellamy Brothers. Also saying Hello And Talking About The Wet And Windy at he's location. Fair Signal, but not helped by the occasional utility beeps. Sinpo 42333. 6280-9.00 Radio Merlin International playing Reggae Music From Bob Marley And Barry Briggs. Good Signal Sinpo 44344. only using 10 Watts. 6305-9.13 Radio Scirocco Playing Pop Music. Said he was closing down and moving to 6413 Sinpo 42333. Heard on 6413@9.30 playing a Dutch version of"let your love flow"
6320-15.40 Misti Radio(tent) Playing BZN. hard to hear due to noise and utility qrm. sinpo 31223.